It turns out that the Fed pursued a policy of tight money, trying to take the wind out of the sails of the stock market. The crash occurred in 1929. And it turns out that the Fed also stopped capital formation in its tracks. Once capital formation slowed massively, the Great Depression was on. Be careful what bubble you pop and how you do it, and what you liquidate as a central bank. 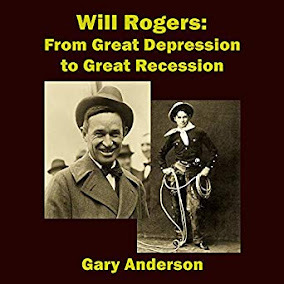 If we were to look at today, we have do not have declining investment in the USA, so things are not as bad as the Great Depression, yet growth in capital formation has slowed greatly from the end of the last century. World capital formation as a percentage of GDP is measured differently from the chart below. The world bank says world capital formation as a percentage of GDP has slowed while US capital formation as a percent of GDP has risen. The world is facing deflationary pressures. Organization for Economic Co-operation and Development, Gross Fixed Capital Formation in United States© [USAGFCFQDSNAQ], retrieved from FRED, Federal Reserve Bank of St. Louis; https://fred.stlouisfed.org/series/USAGFCFQDSNAQ, January 31, 2017. Capital formation is a great indicator of potential issues in the world. Since so few nations are really growing, one wonders why the United States government would want to pop the growth of China, and increase world deflationary pressure. I thought the government wanted to increase exports. In the Great Depression, exports were crushed. Monetary policy can impact this capital formation. It is most commonly divided into levels, listed as M0 through M3 or M4 depending on the system, with each representing a different facet of a nation’s assets. The monetary base’s funds are generally held within the lower levels of the money supply, such as M1 or M2, which encompasses cash in circulation and specific liquid assets including, but not limited to, savings and checking accounts.To qualify as part of the money base, the funds must be considered a final settlement of a transaction. For example, if a person uses cash to pay a debt, that transaction is final. Additionally, writing a check against money in a checking account, or using a debit card, can also be considered final since the transaction is backed by actual cash deposits once they have cleared. Britain had decided to go back on the gold standard in 1926. This in itself would not have created a problem but Britain tried to value the pound relative to other currencies at the level that existed before world War I. This led to funds being taken out of pounds and being held in other currencies. 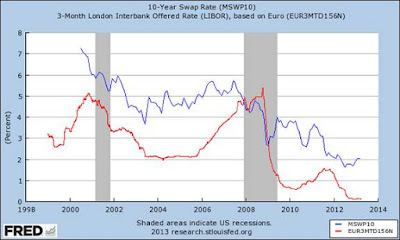 To discourage that withdrawal Britain needed to increase the interest rates in Britain relative to the interest rates in other countries, particularly the United States. The disasterous action of trying to go back onto the gold standard at pre-World War I levels had led to a severe recession in Britain and a general strike. Britain did not want to exacerbate the economic recession by raising its interest rate so its representatives talked the Fed in the U.S. into taking actions to reduce the U.S. interest rates by pursuing easy money policies. The decrease in the money supply led to the deflation that raised the real interest rate to extraordinary levels. Those high real interest rates collapsed investment purchases leading to the declines in production and employment; i.e., the Depression. Thus the blame for the Great Depression lies firmly with the failures of the Federal Reserve. This is a blame not only because the Fed did not take counter measures to forestall the economic decline but also that the Fed's actions precipitated the decline in the money supply. Capital formation is a term used to describe the net capital accumulation during an accounting period for a particular country, and the term refers to additions of capital stock, such as equipment, tools, transportation assets and electricity. Countries need capital goods to replace the current assets that are used to produce goods and services, and if a country cannot replace capital goods, production declines. Generally, the higher the capital formation of an economy, the faster an economy can grow its aggregate income. In killing the stock bubble, the Fed inadvertently, or if you believe in a conspiracy, deliberately destroyed capital formation. Taking this to current times, it appears that Ben Bernanke, willing to crush the housing bubble, also crushed capital formation, as the chart at the beginning of this article shows, though not to the degree that was done in the Great Depression. The reason to believe that the Fed deliberately engaged in two liquidations rather than the first being by accident, is that it happened twice, and in almost the same way. The Fed had more tools in 2008 than it had in 1930, and yet liquidation occurred anyway. It appears that is how the Fed operates, puncture a bubble and then take down the economy while you are at it. This appears to be the exact same mode of operation (m.o.) used in both the Great Depression and in the Great Recession. If there is any one reason to rein in the Federal Reserve Bank, at least during times of instability, this is clearly the most compelling reason to do so. There is not a legitimate case for abolishing the central bank. After all, Andrew Johnson did it with the previous central bank, and there was a pretty strong 7 year depression with massive unemployment. Destroying the system we have should not be the goal here. But stopping the liquidations is a very good reason that Congress supervise any bubble popping carefully. This oversight should not be about politics and the Fed. It is about the economics of the Fed, and Congress has every right to stop liquidations from occurring as it monitors the Fed's legitimate bubble deflating activities. Those activities cannot be permitted to get out of control, ever. Tight money that brings us the popping of bubbles must be replaced quickly by the Fed's active support of markets.